You’re working alone. Fix and flips require a team! You don’t have extra money. 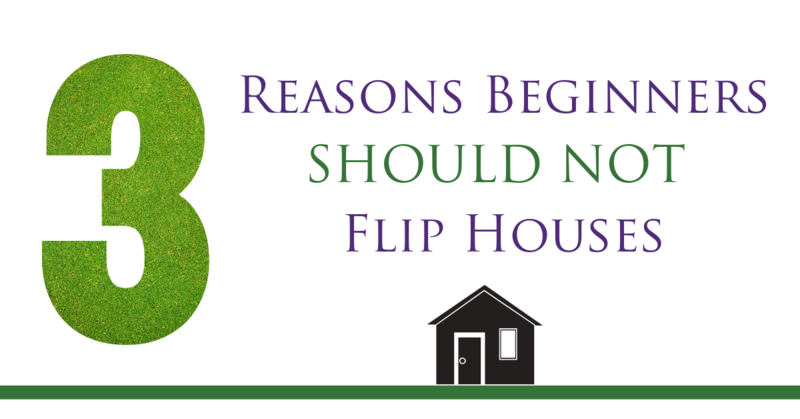 Fix and flips often introduce costly surprises! You don’t know the market well. Choosing a good location is key! You become the bank and service the notes and deeds yourself or hire a third-party servicing company that also deals with late pays. The Deed – The Deed is a legal document which gives rights to something. In real estate, a Deed transfers title of ownership and gives the new owner the rights to use the property. The Note – The Note (or Promissory Note) is a contract where a party makes a promise to pay a sum of money to another party under specific terms. In real estate, the Note is the legal document that binds the borrower to repay a mortgage loan. This agreement will contain important loan specification, such as the loan amount, interest rate, due dates, late charges, and the terms of the mortgage. For more information on How to Buy and Sell Notes and Deeds attend one of Paige Panzarello’s classes on Building Wealth with Notes Workshop. You can register for the next class, go online for training. or listen to these powerful podcasts. CashFlow Chick and Coal to Cash Homebuyers, Inc. are owned by Paige Panzarello. She has been in Real Estate as a Landlord, Builder, and Investor since 1996. We buy as-is. An investor will estimate the repairs needed to restore your property, arrive at an offer, and will purchase the property as-is. When we buy houses fast, there are no fees! We don’t charge you a real estate commission, and we may take care of any other nagging financial problems such as back taxes, code violations, or past due water and sewer bills. Paige also helps to educate people on the importance of Passive Income, deal evaluation, money management, how to wisely interact with money, and what the heck does a profit and loss and balance sheet actually look like?